"Hello, my name is Dottie. 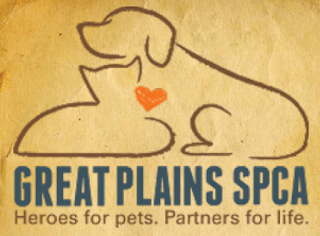 The folks here at Great Plains SPCA say I'm extra sweet, friendly and loving. Yes, that's right, I'm secretly known as Dottie 'Houdini' Girlcat. My secret superpower? Scaling 8 foot walls! I kid you not!" Contemplating crime-fighting. Or perhaps just secret girlcat things. "I hear they're telling people that I should be an "inside cat" because of that. I must admit, I agree. You see, somehuman (whose name shall be withheld) front declawed me. It might be one reason I learned to scale such heights in a single bound. The world out there is a bit scary, you know? At any rate, I'm on the hunt for a human super hero to come rescue me. Know of any? Might you be my hero? I'd love to hang out in your secret lair. I promise - your secret identity is safe with me. This 9 year old supergirlcat is awaiting her partner in crime fighting - err, ah, web surfing and movie-sofa watching - at the Merriam Campus of Great Plains SPCA today! We will share you all over our social media Missy. Good luck and good fortune finding your forever (humane and loving) home. Oh, we really keep our paws crossed that you find a forever home soon. :( This Christmas is the first in ours, and we're so grateful that our Mom found us. We know your pain, and we reaööy hope you become as lucky as we are. Wow, Dottie, you have super special talents! 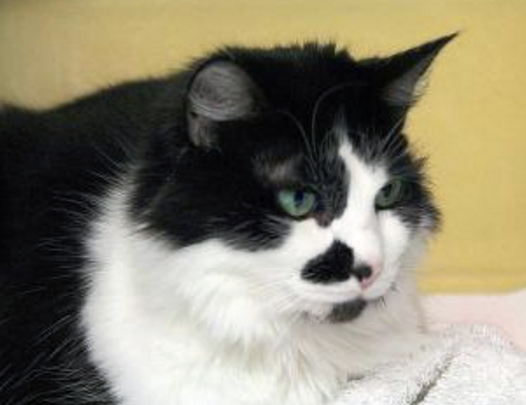 Hope that cute Dottie will find a foreverhome for Catmas ! Your eyes are wondrous to see, and we just know soon you will have a wonderfur new den to call your own! We sure hope you find your hero soon beautiful SuperGirlcat! She is beautiful, I am sorry some evil person declawed her. I pray she gets her forever home for Christmas. What a beauty you are Dottie, I am so sorry you lost your precious claws. Darling girl! You ARE super and with no claws that some selfish non thinking human cause.d You are a fine wonder and I hope you are chosen quickly. You deserve love. Right now. I am sorry some evil person stole your claws Dottie. You are quite amazing that you can get out over an eight foot fence without them though! Our Mama hasn't met Dottie yet. She will have to introduce herself next week. Maybe Dottie could even be Mama's intern one of these weeks. Um, we live with cat bro Bert and that is enough crime for one household. Cute kitty for someone looking for cat adventure! 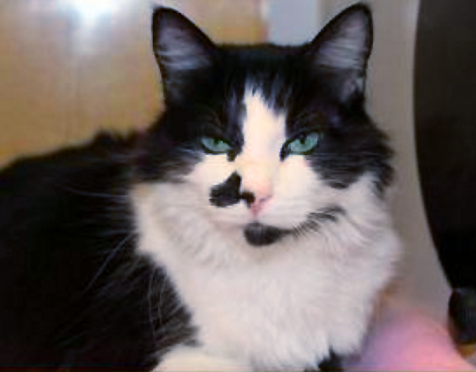 Dottie, you are adorable and we know you'll find your purrfect home real soon. That's an amazing skill for you, darling kitty! We hate the declaw movement here, too. Popoki had that done to her little front feet too. Grrr.